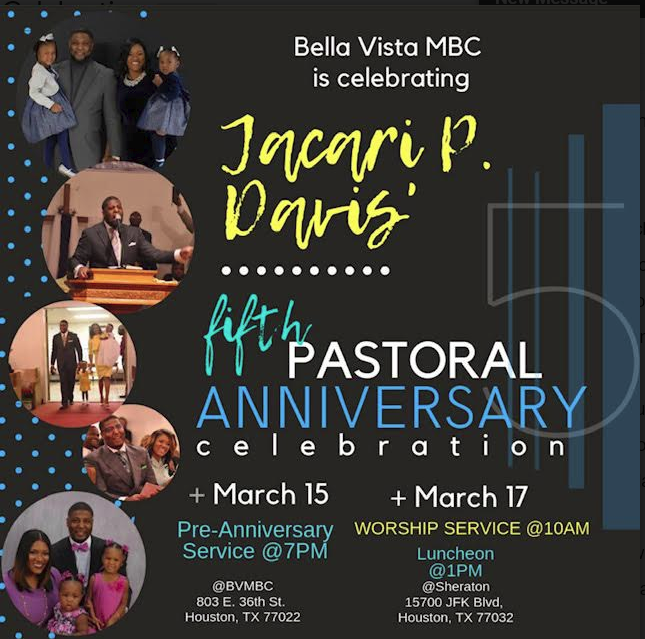 Join us as we celebrate the 5th Anniversary of Rev. Jacari P. Davis and 1st Lady Danielle Davis! 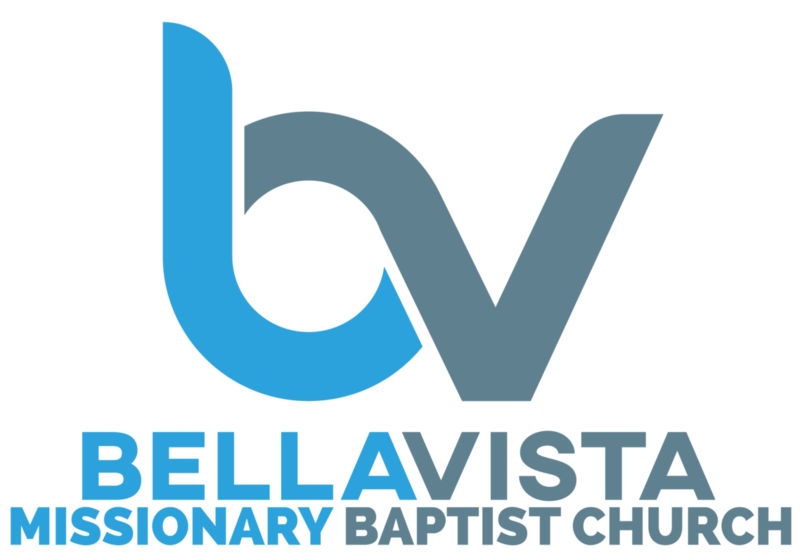 Join us for Bella Vista MBC Fall Festival! 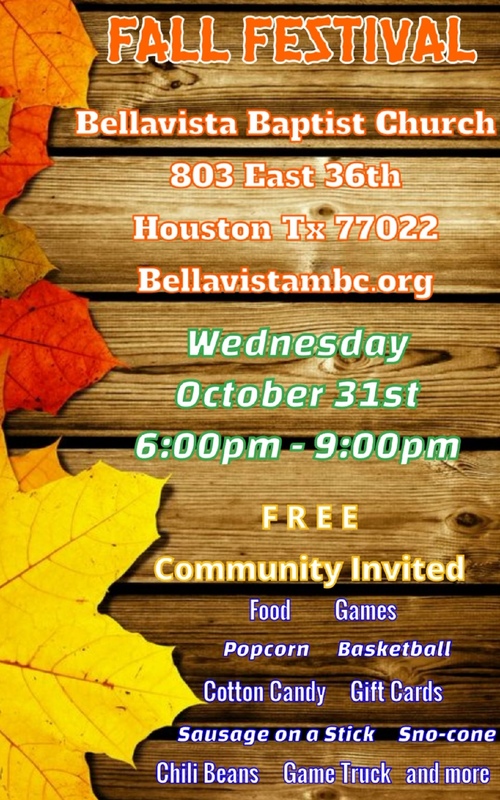 Free - Free - Free 6 - 9pm Food, Fun and Games! 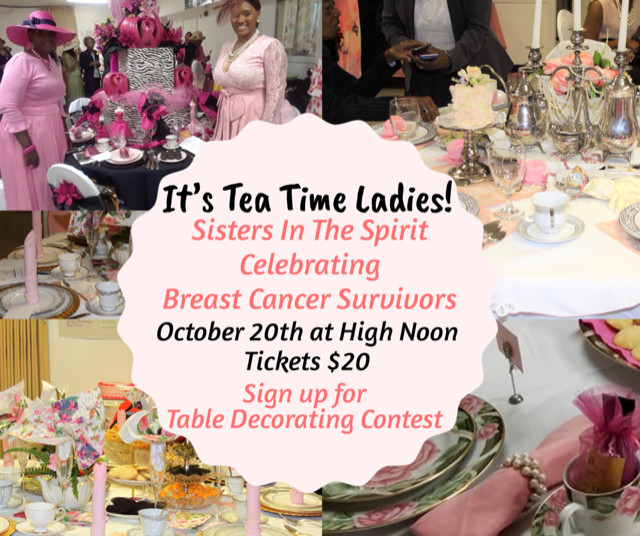 Sisters In the Spirit will be celebrating Survivors and hosting a Breast Cancer Awareness Tea. Tickets are $20 each. The Tea will also include a table decorating contest with 1st, 2nd and 3rd place winners. See a SIS Officer for tickets. Family & Friends All You Can Eat Fish Fry! 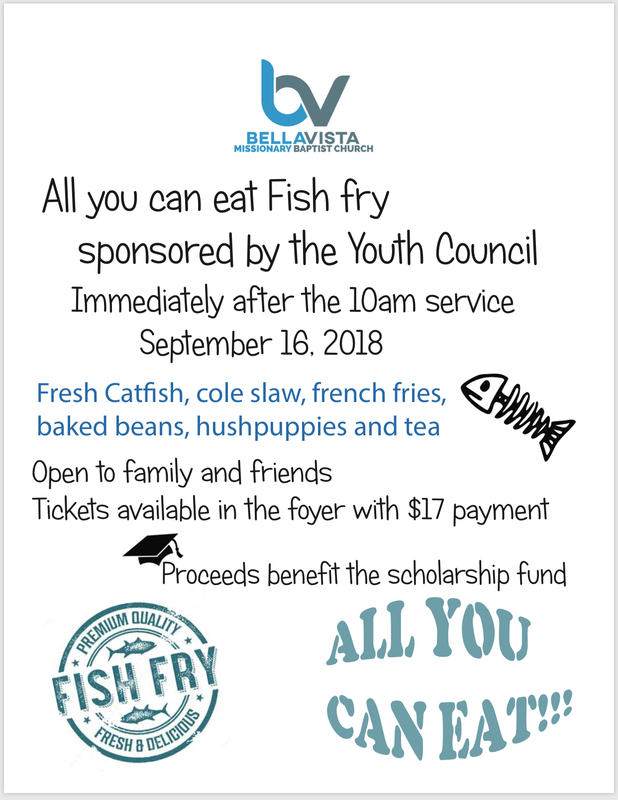 Youth Council is sponsoring an All You Can Eat Fish Fry benefitting the scholarship fund. Join the fun and fellowship as we enjoy the All You Can Eat Fish lunch only $17! Reserve Your Seat plate now! Youth Council is preparing our students for back to school. 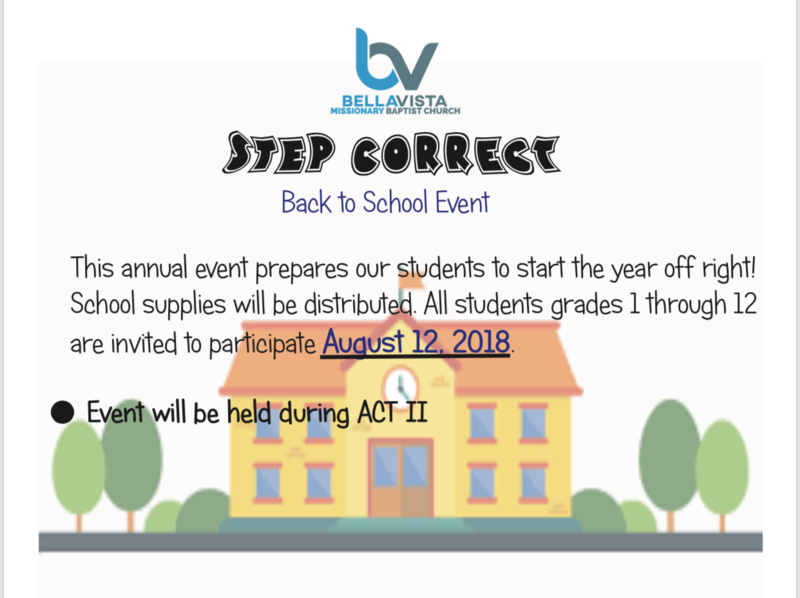 The Step Correct Workshop will be held during ACT II!! 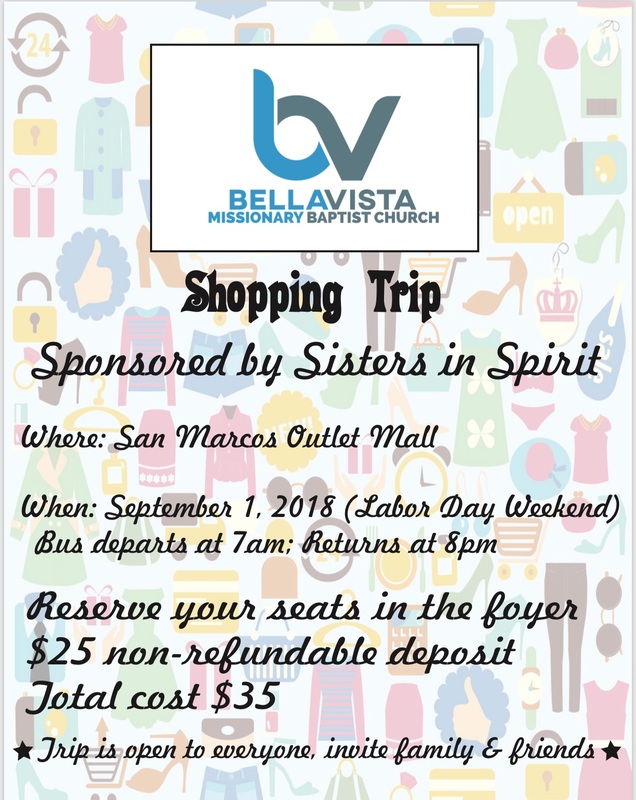 SIS is sponsoring a shopping trip to New Braunfels, all family and friends welcome. 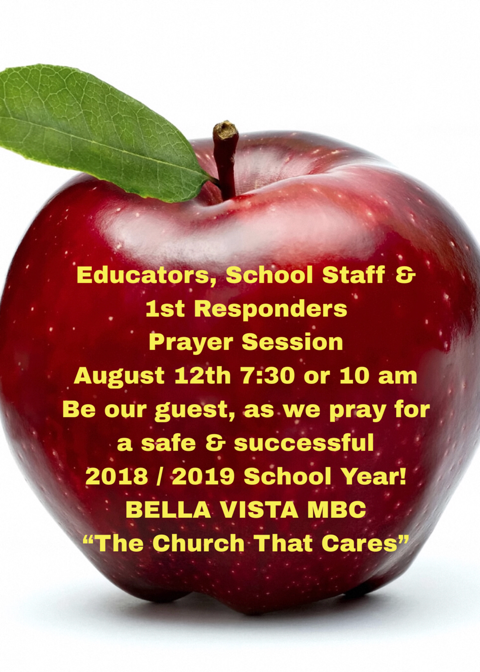 Reserve your seat now! 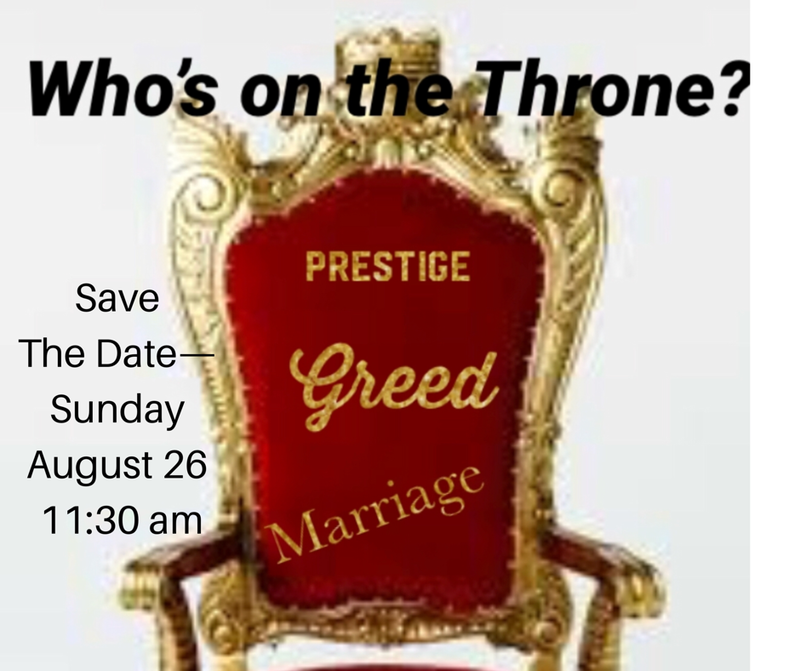 The Bella Vista Theatre Ministry Presents: Who's On The Throne. 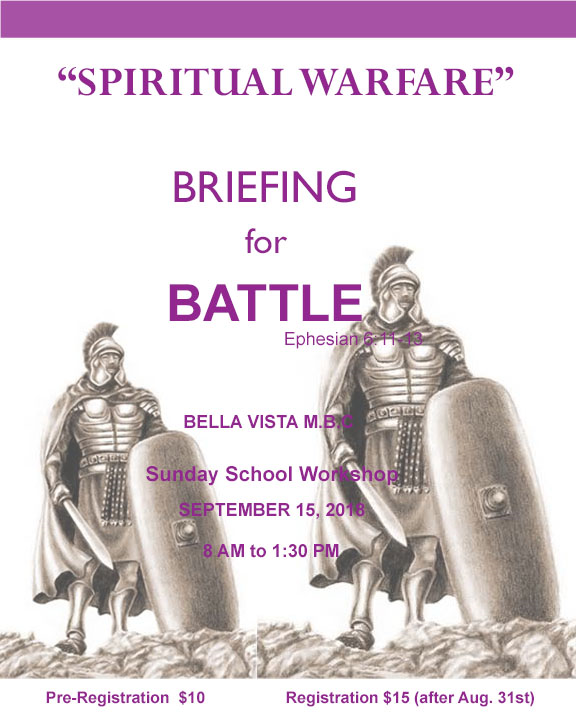 The play will begin at 11:30 immediately follow the 10 am worship service. 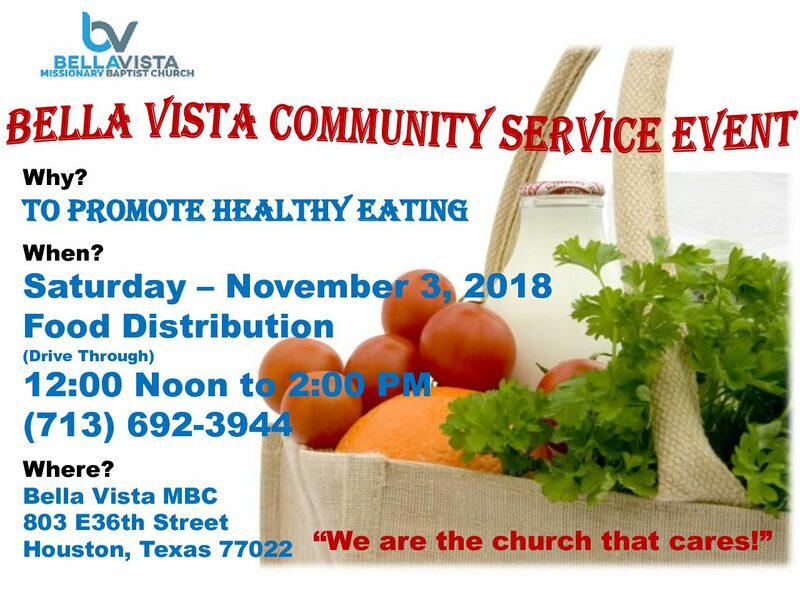 Please plan to be there!